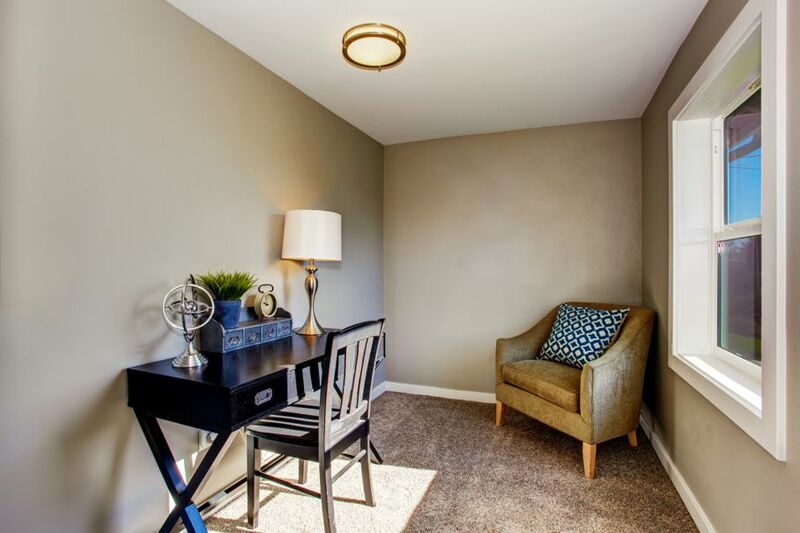 A home office can be created in any nook of any room where there is even a little space. Our tips will show you how to set up in any space where there's room. With more and more people working from home, the home office is becoming a staple of daily life. Almost everyone needs a space where they can keep files, work on their computer, and take some time to keep life organized. 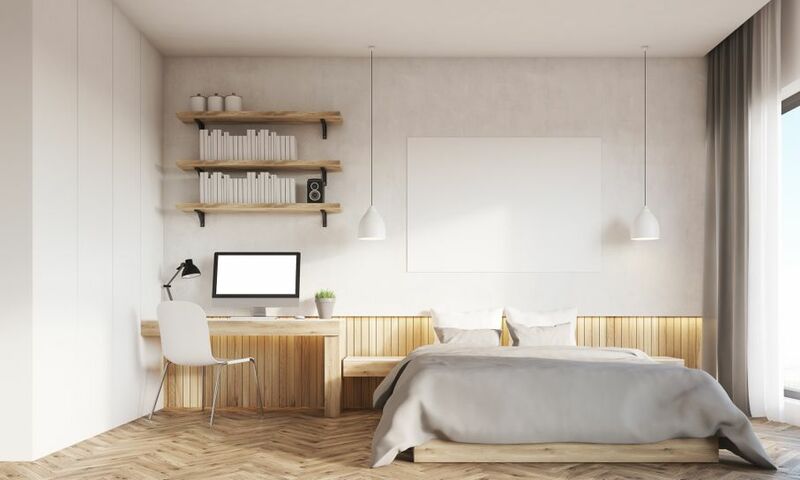 Whether you work full-time from home, or just need a place to pay bills and do paperwork, a home office can keep you organized and productive. However, it can be hard to find the necessary room in a crowded home. If you don’t have a spare room to turn into an office, don’t despair. There are office solutions for any amount of space. If you live in a small (or large but packed) home, you may think having a home office is impossible. But in fact, it’s simple and can be a great way to keep yourself organized. Plus, having a portable office can make it easier to work in a variety of places in your home, from the kitchen table to the couch. 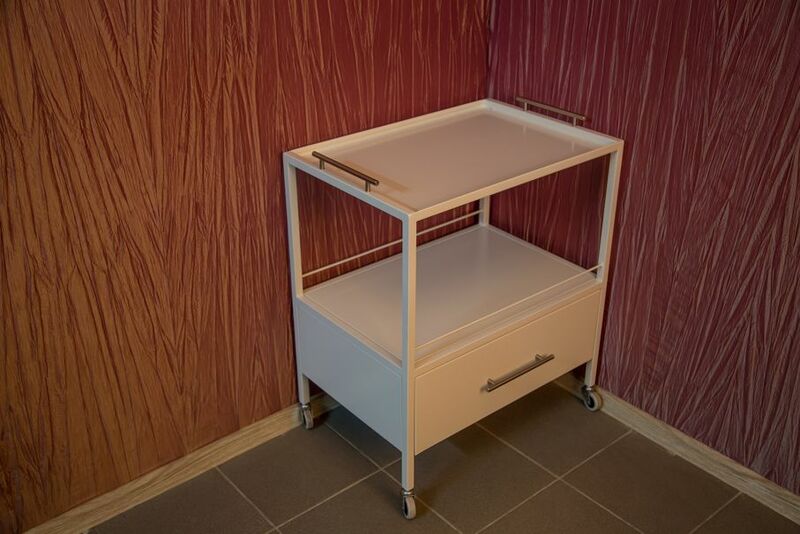 The main thing you need for a portable mini-office is a small utility cart, ideally something with two or three shelves. A wheeled cart can come in handy for easy mobility, and can be tucked away when you’re not using it. 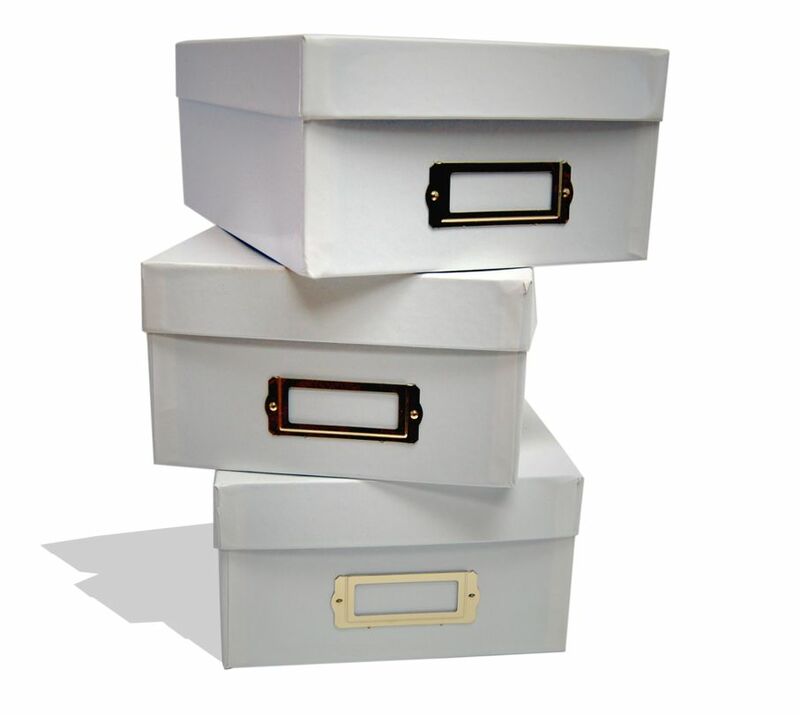 Placing a small file box on the lower shelf will help you keep your important papers safe, organized, and accessible. Desk storage tools like divided boxes and baskets can help you make the most out of a small space. Placing containers for pens, paper clips, and other office supplies on the top shelf of your cart will keep them close at hand. An accordion file for mail and active projects is another thing to keep close by. This can be closed when you’re not using it. The Organizing Junkie website offers some creative uses for office supplies. A small tray for your laptop can also be kept on your cart, to make it easier to work from an armchair, couch, or even your bed. You can play around with the many storage options available, and you’re sure to find one that is best for you. Desk supplies in bright colors can lighten up your workspace and make work a joy. 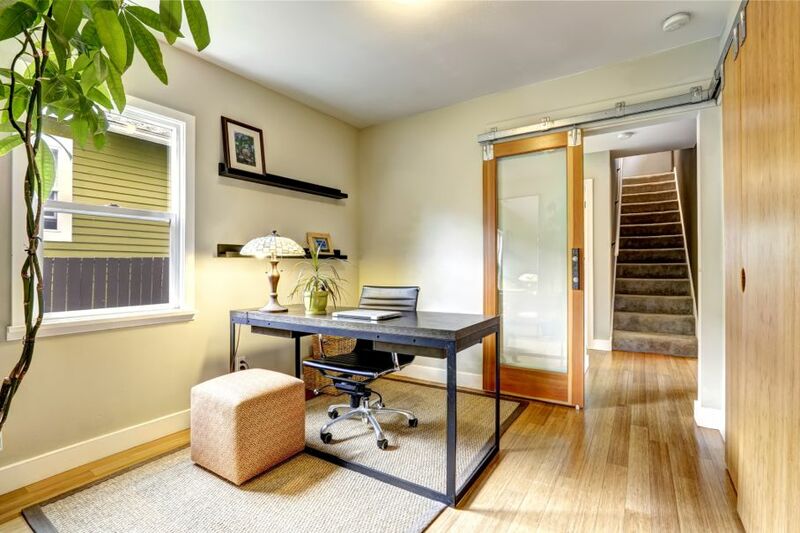 Many spaces in your home can serve as a small office area. You might have a kitchen nook, a corner of your living room, or a bay window that can provide sufficient space for a desk and shelving. Look carefully around your home-- there may be potential office space you hadn’t considered. The key here is to maximize your space. Art Architecture Design and HGTV.com both offer some visual inspiration for small offices. You may need less desktop space than you think-- a small table or even built in shelves can serve as a workspace. Don’t forget the space beneath your desk area, which can be used for file cabinets, shelves, and baskets. In a small area, maximizing vertical space will allow you to make the most of what you have. Trays and containers on top of your desk can help you stay organized, and keep your office area from disrupting the look of the room you are in. If you work from home and have a spare room, a full home office can improve your productivity and give you a place to work that is separate from the rest of your home. With more space to play with, you have more options to design the office of your dreams. First, consider what you need from your office and how you work most effectively. This will help you determine the best way to lay out your office. Do you need a lot of shelf space for books and files? Do you prefer a large desktop to lay work out on, or are you more comfortable in a smaller desk? Do you need any special equipment, like a drafting table, or extra computer equipment? If you are up for a big project, you might consider creating built-in shelves, or designing your own desk from pre-existing parts. If you spend a lot of time at your desk and are worried about back pain that can come from sitting for too long, you may wish to buy a standing desk or make additions to your current desk. This is a good time to get creative. Envision your dream office, and then think of ways you might create it. Desks and shelves can be built simply, and you may also be able to make improvements on your existing equipment. Having a workspace that inspires you makes work more pleasant, and can boost mood and productivity.